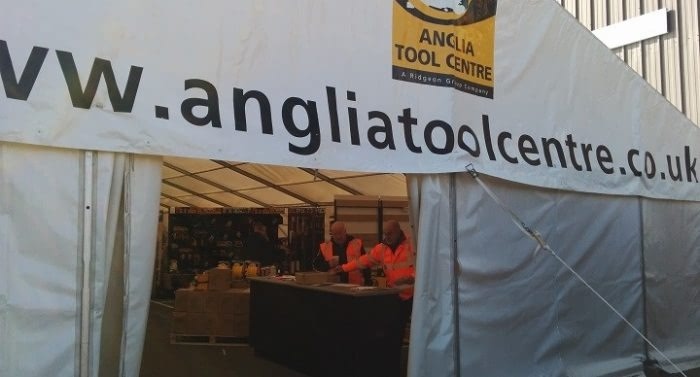 The annual Anglia Tool Centre Trade Show, held at our Pampisford Exhibition Centre, is back this year bigger and better than ever. On Friday 15th and Saturday 16th May, East Anglia’s biggest power tool demonstration event will be free to attend for everyone, from professional tradesmen to DIY hobbyists. As well as testing out a range of power tools and viewing demonstrations, attendees will receive exclusive deals only found at our Pampisford Trade Show. Click here to register online today and receive a voucher for a free bacon roll on entry to the show. The Pampisford Trade Show is one of a kind, with over 40 leading tool suppliers in a 7000sq ft exhibition space, giving attendees the best deals possible on power tools and accessories. View the flyer for full details and a taster of some of the fantastic deals that will be on offer at our Pampisford Trade Show for 2 days only.